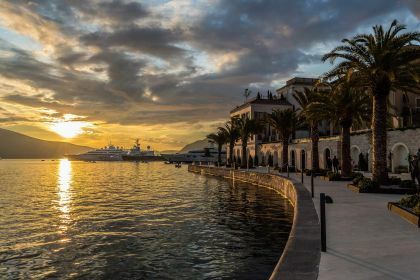 Whether you choose to explore the coasts of Vrmac and Lustica, stroll along the Porto Montenegro promenade, or wile away the hours admiring super-yachts and mega-yachts bobbing in the marina, you’ll find there’s tons to do in Tivat. Call us or contact us here so our experienced charter brokers help you with everything you need for a dream yachting vacation in Tivat. 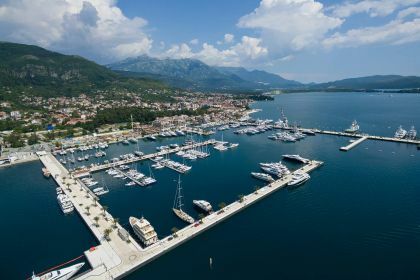 Its state-of-the-art superyacht marina used to be an old naval base, lending Tivat a strong nautical atmosphere — just the lure for yachting aficionados like you. This coastal town in southwest Montenegro, located in the Bay of Kotor, will soon lull you into vacation mode with its variety of offerings. 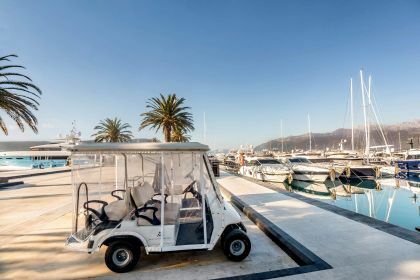 Whether you choose to explore the coasts of Vrmac and Lustica, stroll along the Porto Montenegro promenade, or wile away the hours admiring super-yachts and mega-yachts bobbing in the marina, you’ll find there’s tons to do. How about starting with an exploratory dive to see the impressive ship and submarine wrecks in the Bay of Kotor? You are sure to be hooked by Tivat’s underwater offering. While Porto Montenegro may previously have played host to sailors of the naval kind, the marina now belongs to Arab sheikhs. It is spotlessly clean, has top-notch security, exclusive shops and boutiques and an impressive restaurant selection. Palm trees lining the waterfront top off the immaculate surrounds. If you fancy sampling an authentic taste of Montenegro though, a recommended option is to escape to the lovely stone village of Lustica, a convenient stone’s-throw away. 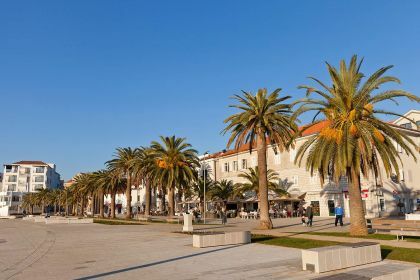 It boasts pretty beaches and tranquil countryside covered in pine woods and olive plantations — surrounded by the deep blue waters of the Adriatic. The 250-hectare Lustica peninsula has 35km of coastline of stunning natural diversity: salt flats, a bird sanctuary, stone houses and churches, the famous semi-submerged Blue Cave, a fortress island, monastery, and much more. Breathe in the heady fragrance of thyme, rosemary and oregano growing in the wild; taste local cheeses, cured meats and olive oils produced by local residents in the village of Marovici, savour a bottle of local wine sitting on a terrace of a waterfront restaurant in Rose, or sip a cocktail at Onna, the lively beach bar in Krasici. 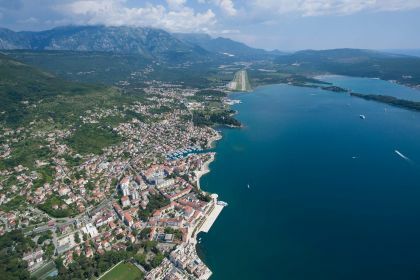 Whether you choose to hike up the Mount of Vrmac, take lessons in wakeboarding or water-skiing, try stand-up paddling, do some rock-climbing in Skurda Canyon or just sit back and enjoy some people-watching in one of Tivat’s restaurants, the town’s numerous offerings make it an idyllic addition to your vacation. There are scores of excellent reasons why you should include Tivat in your Croatian or Montenegrin yachting-vacation itinerary. Dubrovnik and Kotor are just a stone’s throw away, while Split, Hvar and Trogir are easy to reach overnight. Interested in exploring the delights of the Adriatic, or hearing more about other destinations not covered here? Call us or contact us here so our experienced charter brokers help you with everything you need for a dream yachting vacation in Tivat or other yachting destination you crave for.